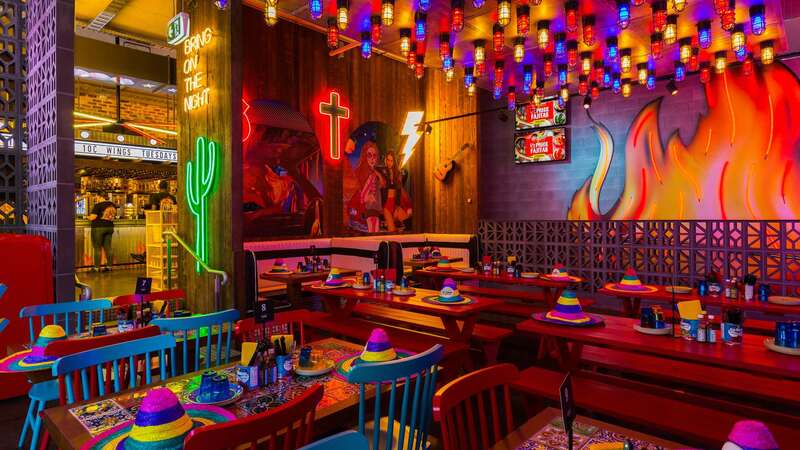 Tex Mex hot-spot El Camino Cantina comes from Sydney, where is has two outposts. This loud venue is casual and over-the-top with giant cocktails, rock 'n' roll jukeboxes, lively Tex-Mex fare and sprawling 300-seat dining room and bar. At the big L-shaped bar, eight slushie machines signal big nights and brain freezes — El Camino's margaritas come in a swag of flavours and multiple sizes, including a group-friendly two-litre tower. Other options include a host of beers from near and far, and a collection of over 100 mezcals and tequilas. To match, the food lineup is equally vibrant. Think fiery buffalo wings, sizzling fajitas, plump burritos, soft shell tacos loaded with punchy flavour combinations and unlimited complimentary corn chips and salsas. It's all rounded out with a solid selection of daily specials, including 10-cent chicken wings on Tuesdays, $2 tacos on Wednesdays, brunch on weekends and a weekday happy hour from 4–6pm. El Camino is part of the Rockpool Dining Group, which also owns Sake, Burger Project and the nearby Bavarian Beerhaus. Images: El Camino Cantina Manly by Tom Ferguson.